Our mission is to support darts in Canada, and helping leagues, groups and organizations with great ideas to raise funds is one of them. 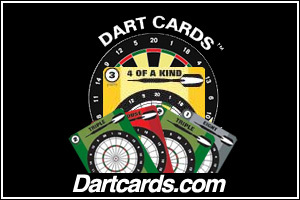 Our Buttons are currently one of the most popular dart items in the country right now and make great tools to raise awareness for this sport we all love. We stand 100% behind the World Record Attempt of Lenny McNevin and Paul O'Shaughnessy which is to happen at the Canadian Corps in Oshawa on November 27 and 28, 2010. This unique series of buttons will be available only for a short time. A limited number have been produced. Get yours while they last. If you run a league, group or organization (decision-makers only please) please don't hesitate to get in touch with us through the contact form below. If you run a website or have control over a website, why not link to us. This site is Family-Friendly and conforms to all major link-sharing and advertising requirements.